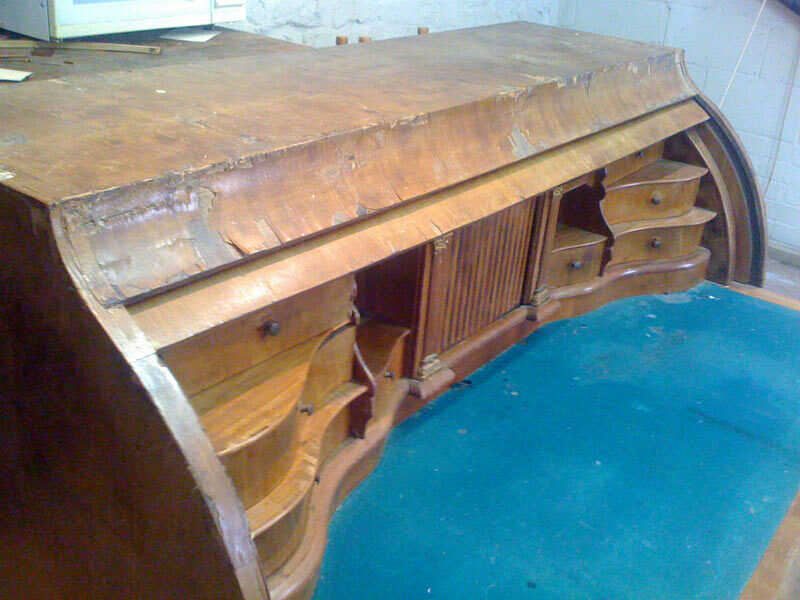 Antique, period and modern furniture. Bath, Bradford-on-Avon and the surrounding area. 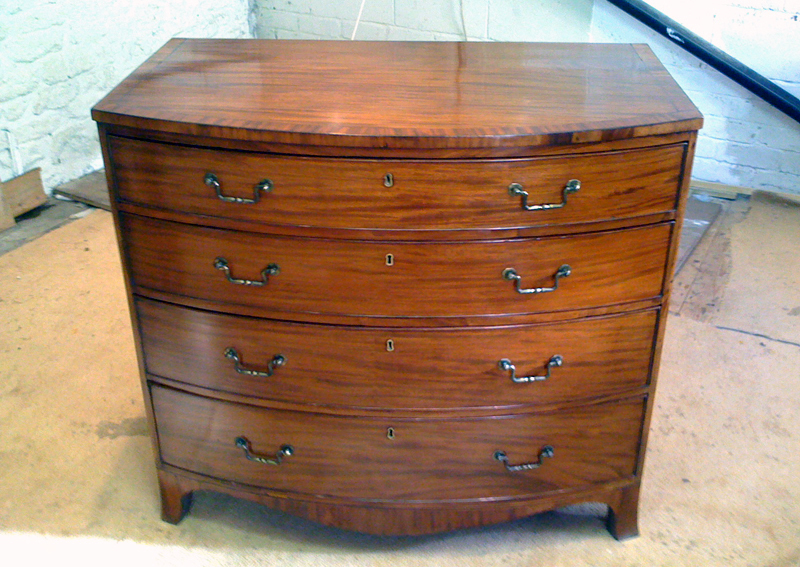 Antique furniture restoration, as well as modern and period. French polish, wax polish, oil finish, water proof finish available. 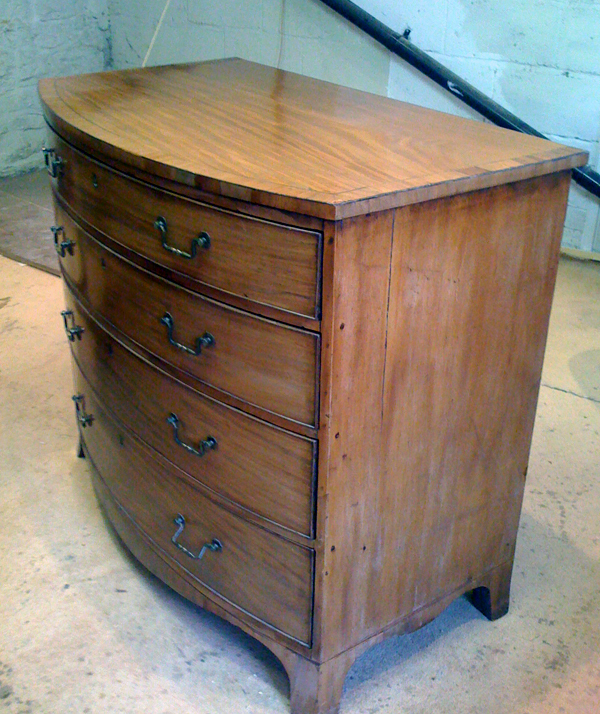 Wood repair and broken furniture, tables, bureau, desks, chairs and chests of drawers. 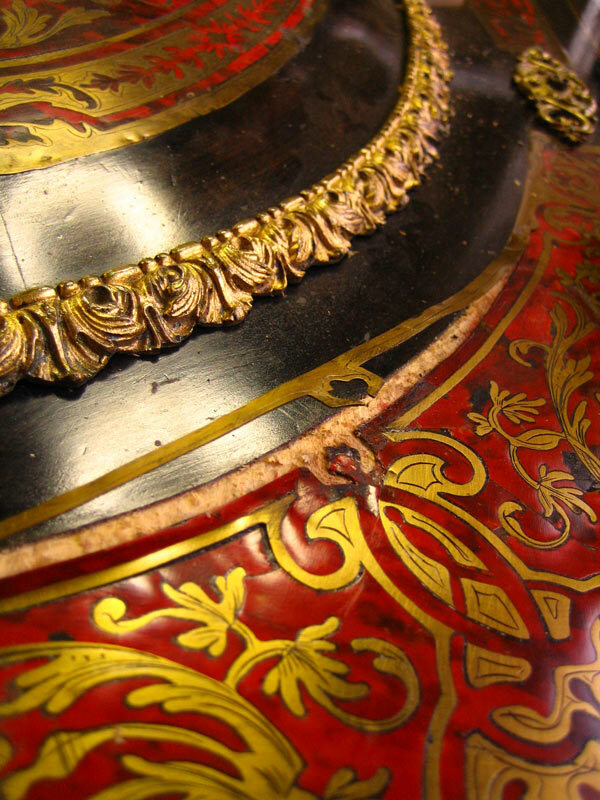 Veneer repair, colour restoration, sun bleached, burn damaged and water damaged furniture. 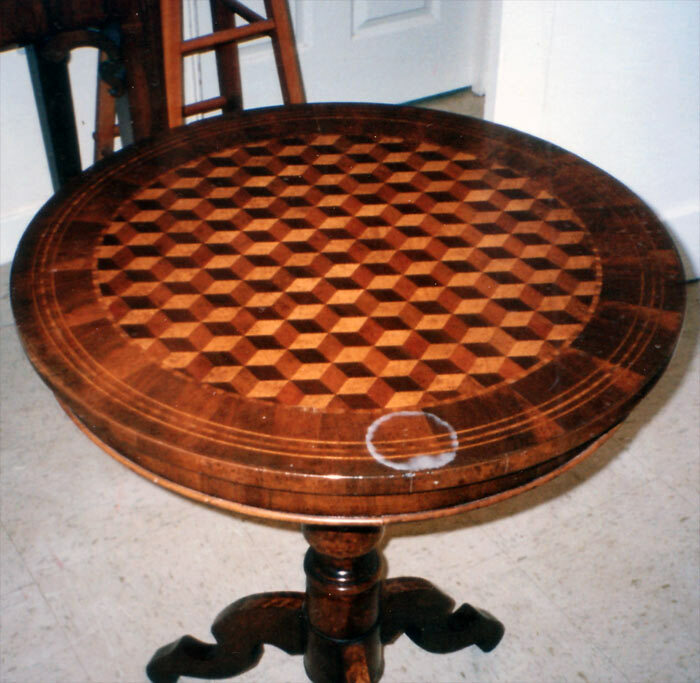 Marquetry, inlay using veneer, brass, cooper, ivory, bones, horn and tortoiseshell. 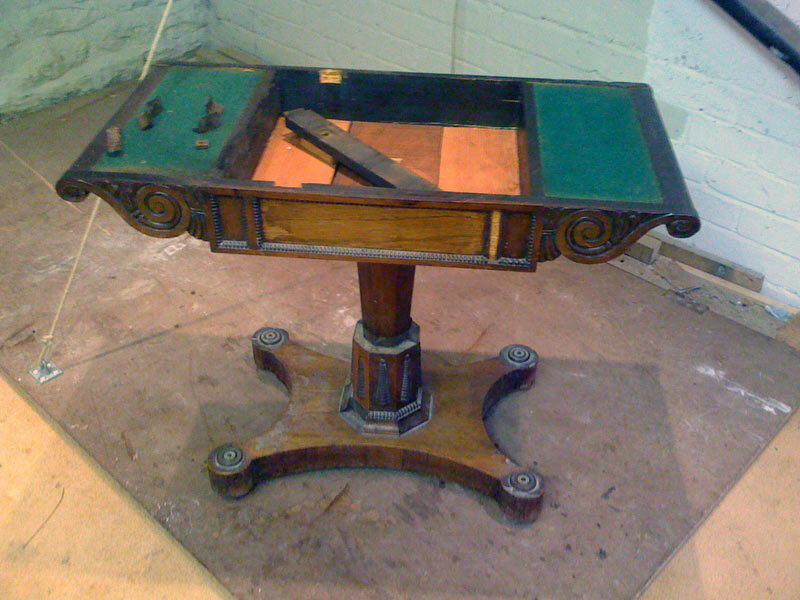 Card table restoration using the finest quality baize. Finest quality reproduction fittings; hinges, handles, locks & escutcheons. 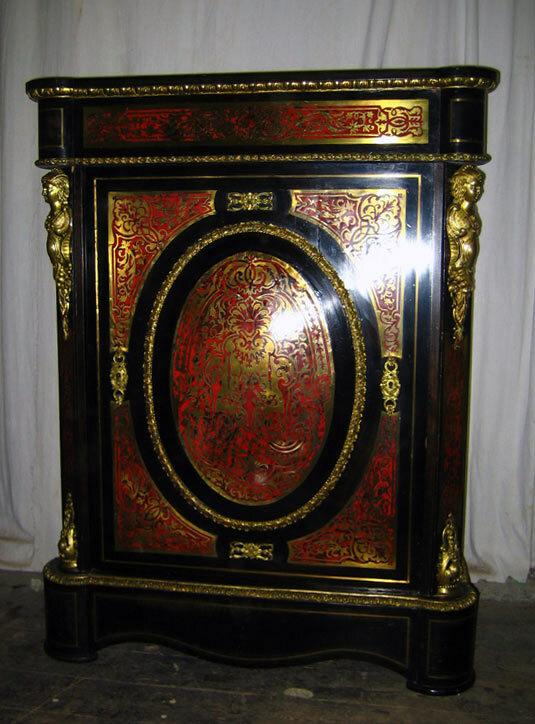 Leather service using the best quality leather and elegant gold tooling patterns for bureau or writing box. Professional written report and quote for your insurance quotation. Flood, fire, accident, damaged after moving house. Free estimate collection and delivery (except insurance). Restoration for customers living abroad available, with organisation of packing protection for transport. 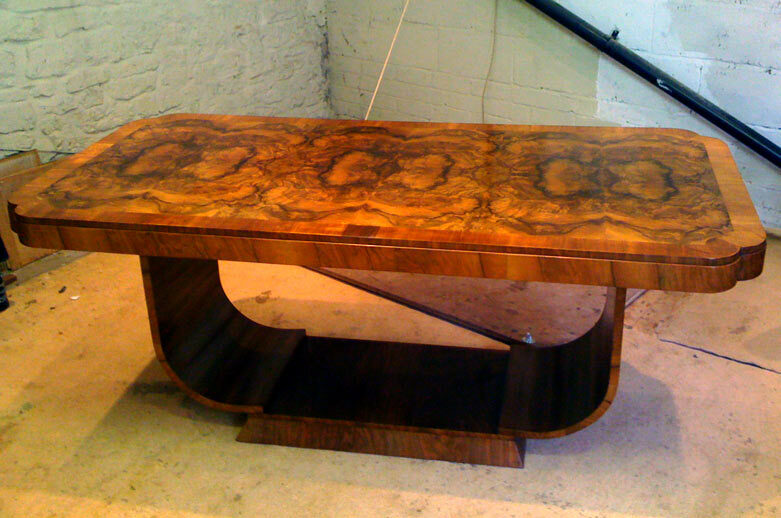 "I learned the art of furniture restoration fifteen years ago. I attended the renowned “l’Ecole Boulle" in Paris, established in 1886. After graduating, I moved to the UK and worked for various professionals. I learned their methods and developed my own". My workshop is in Bath and I live in Frome, so my catchment area is quite large. 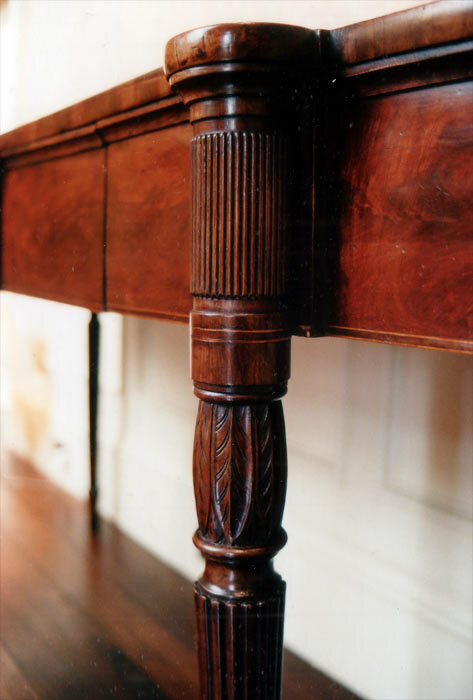 I prefer to work for private clients, as I value the trusting relationship that needs to be developed and the love that you have for the piece of furniture enhances how much pleasure I will have restoring it! I also have carried out restoration for a variety of clients, including museums, churches, antique dealers shops, the National Trust. I work in a traditional technique using French polish and "vernis tampon" method. Some of the products I used come from France as I can’t find them in the UK. I also make my own wax with special organic bees wax mixed with my secret ingredients, giving a unique warm finish. The result of the finish is amazingly better for your eyes and the protection of your furniture. Lovely job! 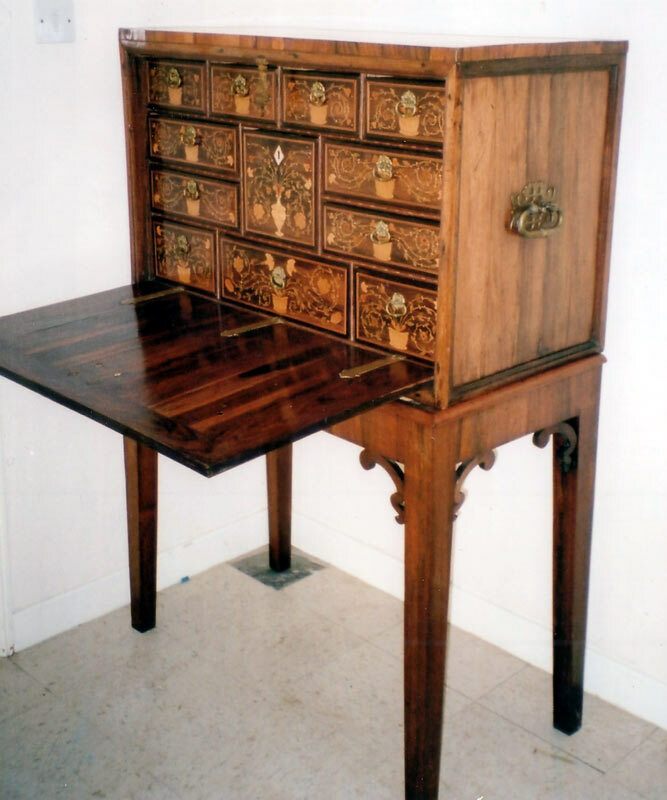 My dear Mum would have been so glad to see the bureau restored to it's proper glory. 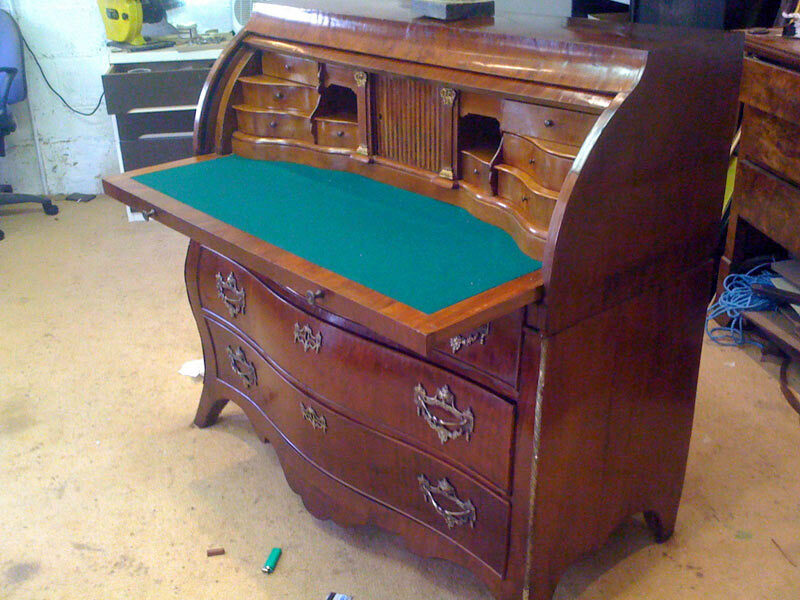 I've had the bureau at home now for the past week, and I want to let you know how pleased I am with it, and with your work. You have really done a marvellous job, and I am very grateful. 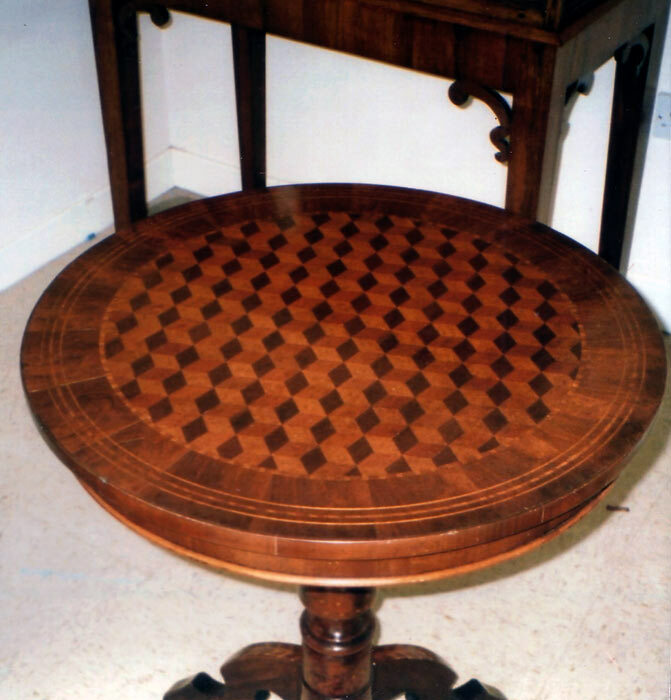 We are delighted with the restoration of the table. It belonged to my paternal grandmother who was very fond of it. I have sent a photograph to my sister whose response was "stunning". Dear Celia, you restored a small coffee table for us before Christmas and I just wanted to say thank you for doing such a beautiful job. 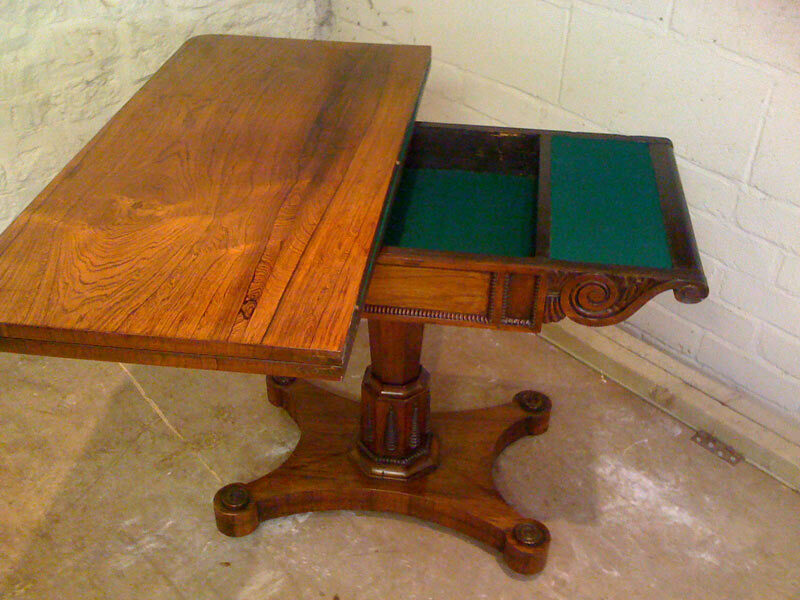 The result really is stunning and the table is much more beautiful than it was before. 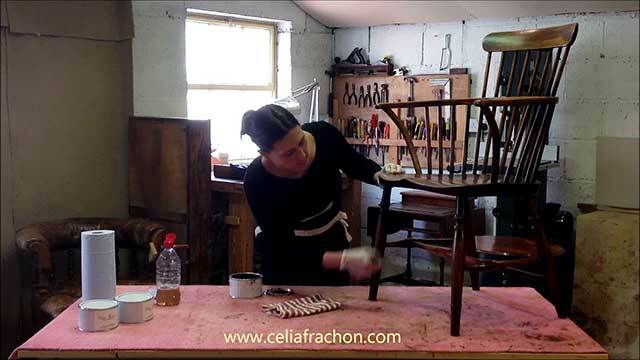 Celia has restored several pieces of furniture for me over the last few years. Her work is excellent, sympathetic to the piece and very professional. 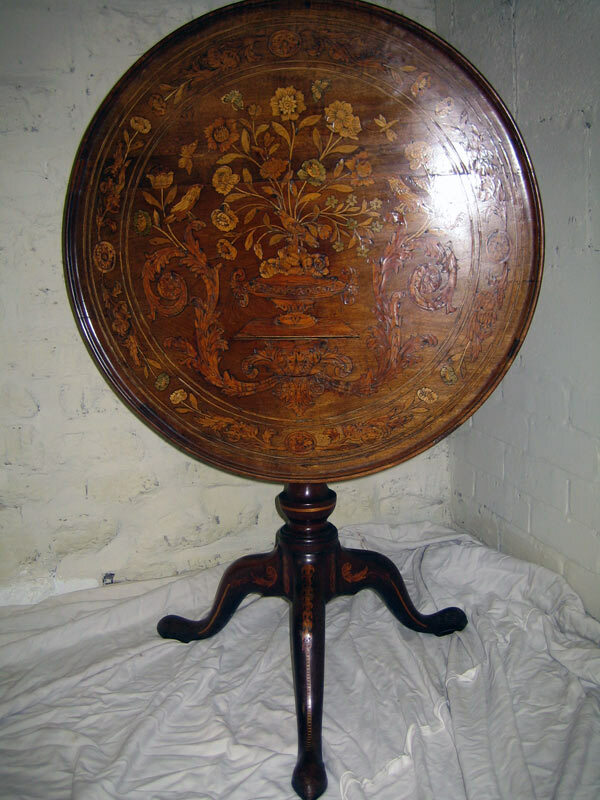 This has included French Polishing, carving missing pieces and replacing baize. I highly recommend her work". 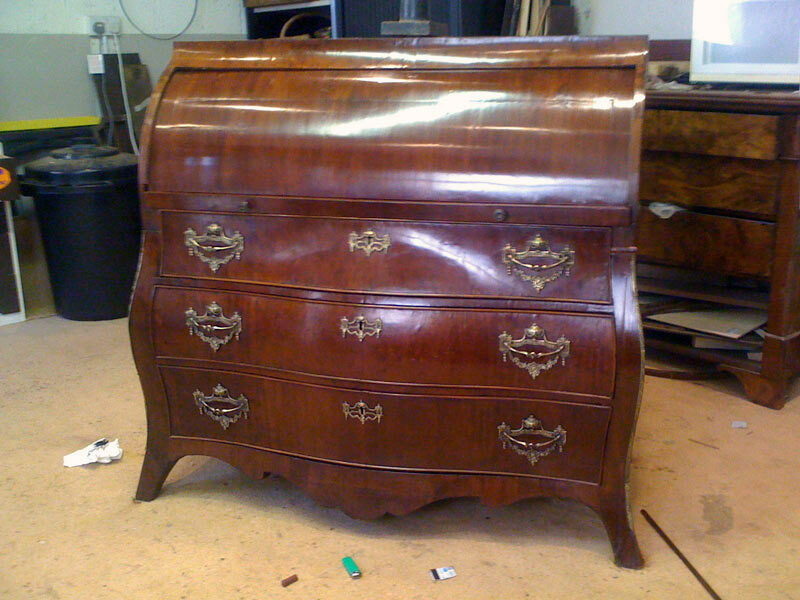 Over the last 5 years Celia has worked on a number of pieces for me ranging from antique an French dresser to a modern cabinet using burred veneers. In each case her work has greatly enhanced the appearance of the piece. "She has a great ability to identify the problem, strip off the old waxes and polishes and bring the wood back to life. I would be very happy to recommend her and will certainly use her again in the future". 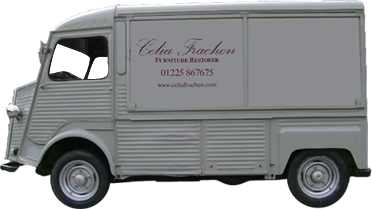 Celia has done a lot of work for me i would not use any one else she takes such a lot of care and time all the furniture is beautifully French Polished and bought home save very recommend FAB, when you have good antiques you need a professional of which Celia is. Thanks again". I have Known Celia for many years, and have worked with her on numerous occasions. She works to a very high standard. 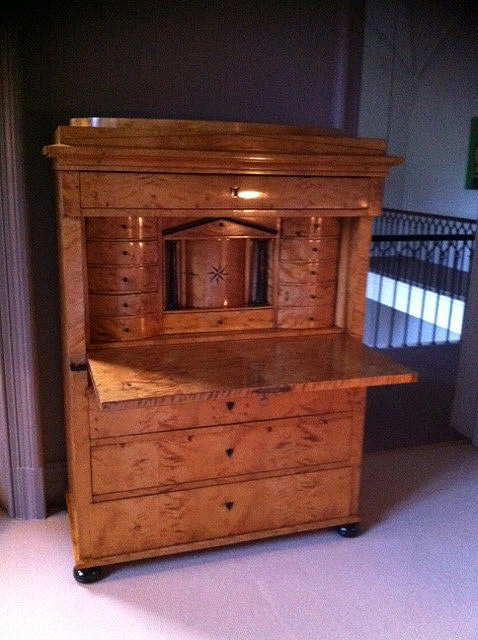 I have no hesitation in recommending her to anyone looking to have furniture restored, or French polished". I just wanted to say a big 'thank you' for your service and customer care. I am really pleased with the work you did on my Art Deco nesting tables; you took your time to talk me through the existing problems and what you could do in the way of repair. 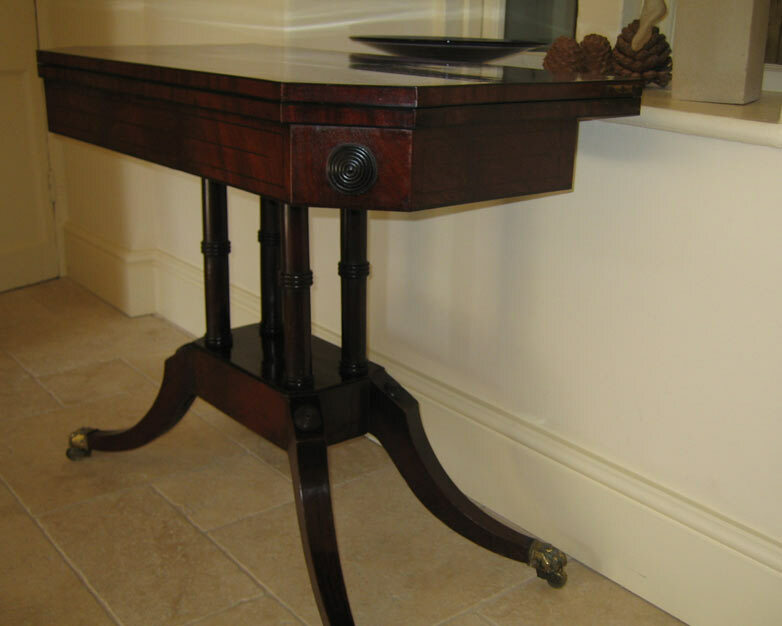 The tables came out far better than I expected; they have a real warmth and beauty to them that one would expect from well looked after, quality furniture. "It is because of this attention to detail, and real love for what you do that I chose to return to you again and again to work on all my Art Deco furniture (coffee table, side tables, cocktail cabinet…). I have already recommended you to someone else since this work was done and will happily do so in the future. Thank you again". 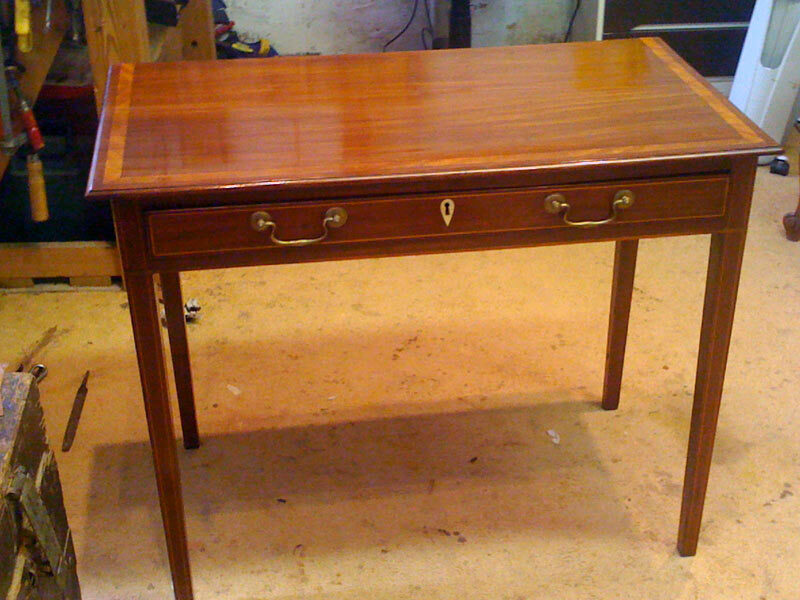 Celia has transformed a very tired 1960's desk for me, replacing chipped veneer and removing stains, scratches and fading so that it shines like new. I wouldn't hesitate to recommend her or to use her again in the future". covering the following towns and surrounding area: Bath, Frome, Trowbridge, Bradford-on-Avon, Melksham, Westbury, Warminster and Radstock. All content © Célia Frachon 2013. All rights reserved. info@celiafrachon.com.